1981 Incorporation of La Boîte à soleil coop. Inc.
April 1982 The first centre opens at 226 Crowland Avenue, Welland, under the direction of Raymonde Crytes-Lafond. Twelve (12) children enrolled aged 18 months to 5 years. The license grants a capacity of 42 children. January 1986 The centre is at capacity with a waiting list. Raymonde Crytes-Lafond resigns as Executive Director on Dec. 31, 1986. January 1987 Julie Tennier-Gigliotti assumes the leadership role of the center.The government provides a wage subsidy to licensed child care centres to subsidize a portion of the employee wages. September 1989 La Boîte à soleil opens a new location for children between the ages of 5 and 12 at Pauline McGibbon School at 535 Sutherland Avenue, Welland. Lucille Morgan is hired as Supervisor of the centre. January 1993 The child care centre on Crowland Avenue closes. The Ministry of Community and Social Services funds the addition of a centre in the new Catholic Elementary School, Sacred Heart in Welland at 310 Fitch Street. At the opening, 64 children are enrolled. January 1994 The location of the preschool program at Pauline McGibbon closes. Jobs Ontario subsidizes a second centre at 674 Tanguay Avenue, Welland, with a capacity of 37 children. A new program for infants is offered. In August, Raymonde Lafond returns as Executive Director. September 1995 A program for young mothers returning to school is offered at Confederation High School. This project is delivered in partnership with “Adolescent Family Support Services of Niagara”. September 1996 The before and after school program begins at Tanguay centre. A summer camp is offered for young children ages 6 to 12 at the Fitch St. location as well as Champlain School. July 1998 A summer camp for children aged 4 and 5 is offered to Tanguay and Fitch centres. September 1999 The before and after school program is offered at the Rosario Tanguay school. This program welcomes 18 children from the Catholic School St. Francis and the Public School Rosario Tanguay. January 2002 The administrative office moves from Tanguay centre to Confederation Secondary School. April 2002 We celebrate our 20th anniversary.After 20 years of service, La Boîte à soleil supports 110 families with 130 children, between the two centres. The staff team is made up of 20 employees. Summer camps are offered to 130 children from 4 to 12 years of age. December 2002 Registrations for the before and after school program at Rosario Tanguay school are dwindling. The program is closed and transferred to the Tanguay centre. April 2003 The two child care centers have 118 families with 149 children. The staff team includes 21 employees. September 2004 A third center opens at the new Catholic Elementary School Saint Francis at 58 Empress Avenue, Welland, with a license for 75 children. The three centers have 212 children. The staff team is now 30 employees. April 2007 2007 marks the 25th anniversary of La Boîte à soleil with an evening of success at the Club Social in Welland. The evening includes games, music, silent auction and dinner prepared by volunteer parents and several employees. September 2007 A fourth centre opens at LaMarsh Public School in Niagara Falls under the supervision of Christina Carter. This center is a pilot project through Best Start, funded by the Regional Municipality of Niagara. In January 2008, it already has 4 toddlers, 4 preschoolers and 8 before and after school children. September 2008 LaMarsh Centre welcomes 27 families, with 38 children, and 6 employees. September 2010 A fifth centre opens at St. Joseph Catholic School in Port Colborne. The supervisor is Vickie Neudorf, an employee of La Boîte à soleil since 1990. The registrations come in slowly at first with an average of 12 children aged 18 months to 12 years. In January 2011, the centre has a total of 19 families, with 24 children. September 2011 A new Program Coordinator position was created to assist the five child care centers and ensure the quality of services offered to families. Christina Carter, the Supervisor at Fitch St. centre accepts the new position.The Niagara Falls LaMarsh centre participates in the apprenticeship program ‘Early Learning Kindergarten Program’ (ELKP). September 2012 The Sacred Heart School also becomes an ‘ELKP’ school. The teachers in charge of the extracurricular program are invited to a meeting of the school.Tanguay centre is preparing for its closure on October 1, 2012. A before and after school program is offered in the gym and in the school library at Nouvel Horizon until September 1, 2012. Several parents from Tanguay transfer their children, as well as parents from the centres located at Empress and Fitch. October 2012 A new centre is opened at Nouvel Horizon School. The Tanguay centre finally closes its doors and moves to Nouvel Horizon on 1 October 2012.The Administrative office moves into the building at 674 Tanguay Ave. in November 2012. January 2013 Cooking for the 5 centres is centralized at the administrative office under the responsibility of France Proctor. September 2013 Shelley Fralick is hired to deliver the meals to all 5 centres. The St. Francis and Saint Joseph Schools also become ‘ELKP’ schools. October 2013 Véronique Emery is hired under the mentorship of Raymonde Lafond to take over the Executive Director’s role in January 2014. January 2014 Raymonde Lafond retires after 31 years of dedicated service to La Boîte à soleil. She leaves behind a network of 5 beautiful child care centres. Véronique Emery officially becomes the new Executive Director and Christina Clark begins a new role as Assistant Executive Director. September 2014 The strategic plan Destination 2017 (2014-2017) is approved by the board of directors. The vision and mission of La Boîte à soleil are revised. February 2015 In order to improve the communication with the parents, the child care centres introduce the new program in their groups. 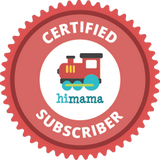 HiMama is used to document what is happening at the centres during the learning activities with the children. April 2015 The role of quality assurance is created to support quality in the centre (quality of environment, interaction with the children and families, and programs). August 2015 AA new program entitled “En français pour mon succès” is kick-started with the goal of preparing the children the children for their return to school by offering them two weeks of activities in an entirely French environment. The program was offered exclusively in Welland in its first year. September 2015 Two new centres open their doors on September 8th 2015: Champlain (in Welland) and Dalewood (in St. Catharines). These two programs only offer a before and after school program. October 2015 Le Nouvel Horizon centre is chosen to pilot the program “Petit enfance, grande forme” in which the centre’s team of educators uses a fun and educational approach to promote a healthy relationship with food to the children from ages 0-12. November 2015 At the Niagara 2015 Early Learning and Child Care Awards of Excellence, La Boîte à soleil received several awards for leadership and commitment in early childhood including the Commitment to Continuous Learning and Community Collaboration Award (Ashley Bélanger) and Licensed Child Care Administrator Award for Exceptional Leadership and Commitment (Véronique Emery). December 2015 After only a few months after opening its doors, the Champlain centre has to close its doors due to another free program offered after school. The parents then turned to the Empress centre. We offered a walking service from Champlain to Empress every morning and evening until the end of the school year. August 2016 Following the immense success of “En français pour mon succès”, this summer program is now offered in Welland, St. Catharines, Niagara Falls, and Port Colborne. September 2016 The Ministry of Health and Long-Term Care provides two year funding for “Un Trésor dans mon jardin” which consists of fun and educational activities around gardening to help children discover the pleasure of eating by bringing them closer to the origin of their food. January 2017 La Boîte à soleil is nearly at capacity. The 6 centres welcome 466 children and have close to 60 employees. May 2017 La Boîte à soleil L’Héritage opens its doors in St. Catharines and welcomes 8 preschoolers. The before and after school program will start in September. September 2017 La Boîte à soleil hires a program coordinator and human ressources coordinator to support the work in the administrative office. The centres are functioning at full capacity with over 500 children and 71 employees.